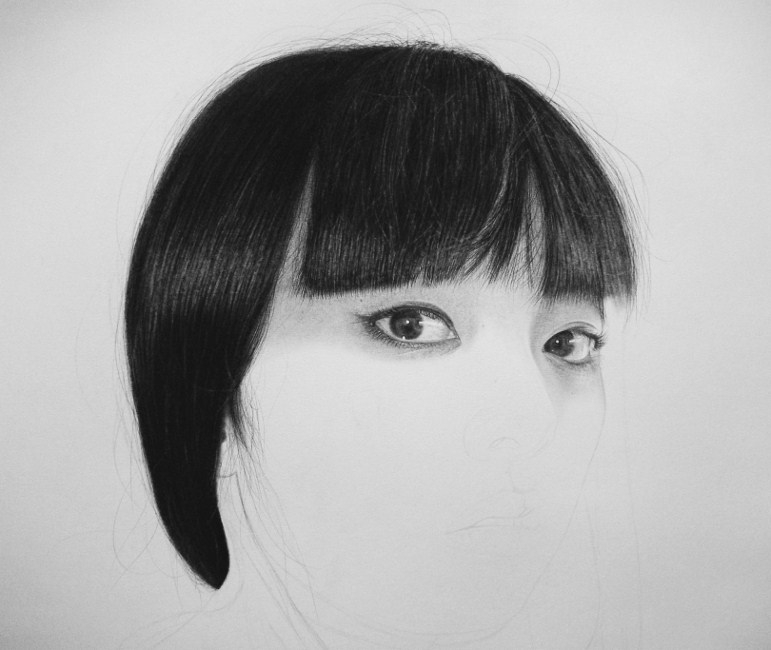 Kelvin Okafor is a young British artist, who creates hyper-realistic drawings using charcoal and a variety of pencils. In digital images of his finished work it is hard to believe that these images are drawings. On his site he has an amazing sequence of 54 images called Mana - Evolution, which shows the stages of the creation of one of his drawings. Below is image 30/54 from this sequence.